Home / Blog / When Should I Make Funeral Plans? When Should I Make Funeral Plans? After the death of a loved one, it is imperative that funeral plans are made as soon as possible. But what about your own funeral plans? Most people don’t like to think about planning for their eventual demise, but if you are the type of person who likes to think ahead, there’s no time like the present when it comes to making funeral plans. Arranging your funeral in advance may seem daunting at first, but the opportunity to create a customized plan for exactly how you want things done after you die is invaluable. And it counts as a thoughtful gift to leave behind for your surviving family members; providing them with detailed instructions for your funeral service and burial will help ease the burden in a time of grief. What do Funeral Plans Involve? It doesn’t matter if you are young or old or married or single – when it comes to making funeral plans the only criteria that are truly significant is the desire to set your affairs in order before your time comes. There are multiple resources available online that can help you decide what to include in your funeral service but if you really want to understand how funerals work, talk to your local funeral provider. Funeral professionals know all the ins and outs of pre-planning a funeral, and they are there to serve and guide you throughout the process. They can help you purchase the goods and services you’ll need based on your funeral preferences, as well as assist you with making payment arrangements. 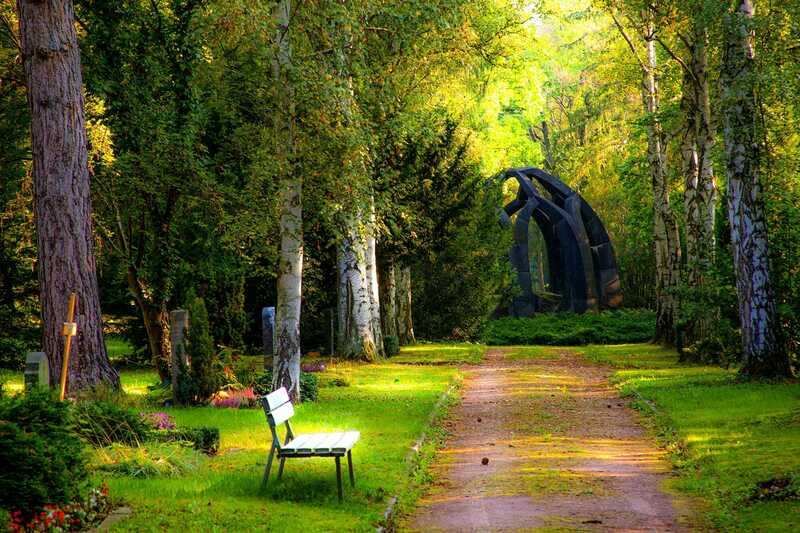 Burial or Cremation – while cremation is growing in popularity, some people prefer a traditional burial. This decision can impact the choice to hold a funeral service (although it’s easy enough to plan a cremation service before the actual cremation), and/or plan a graveside ceremony. Preparation of the Body – do you want to have a viewing or a wake? If you’re leaning towards an open casket visitation, you’ll need to consider embalming. Note: in some states, embalming is required if the body is being transported across state borders. Funeral Service – who would you like to invite to your funeral and what elements should be added to your funeral order of service? Do you want a formal event or a personalized celebration of life memorial? You should also think about who should write your obituary and/or eulogy, as well as how to handle religious customs, special guests, and any charitable donations made in your memory. Final Resting Place – if you choose a traditional burial, it makes sense to purchase a cemetery plot sooner rather than later (or you can purchase a columbarium niche if you decide on cremation). For a private home burial, make sure you obtain the necessary permits in advance. Your final resting place may also depend on veteran/military status or whether you’re contemplating a green burial or having your ashes scattered. Payment – pre-planning your funeral allows you to pay the funeral costs in advance and lock in special pricing. You can buy a prepaid/preneed contract, get a funeral insurance policy, or specify other payment plans as necessary. Once you have narrowed down your funeral plan preferences, write them down and file the information in a safe place. You should also share your plans with trusted family members or close friends. Some people choose to specify their preferred funeral preferences in their will, but in most cases, the last will and testament is rarely read before the funeral and thus might be inaccessible. Keep it simple and let your loved ones know where your funeral plans are saved for easy and prompt access.